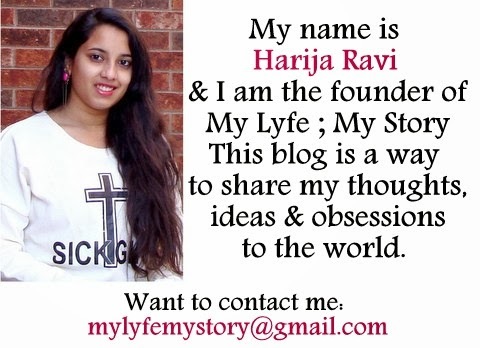 This is a Vacation Preplanned Post! Here is a quick and simple DIY Project & ReVamp Project in which you can add two trends (colour blocking & fringe). For this DIY Project & ReVamp Project I used one of my old ReVamp Project that I did last year during the Christmas break as last minute gift ideas. This season, I wanted to add another trend to this t-shirt by adding colour blocking. To add the colour block trend I decided to cute off the sleeves on the top and then add another pair of sleeves from another top. Then I took the first pair of sleeves (the actually once) and added to the bottom of the sleeves. Then finally used my tricks of thread and needle created a scrunched effect to the t-shirt on both sleeves. Plus, I also cut the fringe into smaller pieces to make the volume on the top of the t-shirt stand out more, rather than looking to bulky. 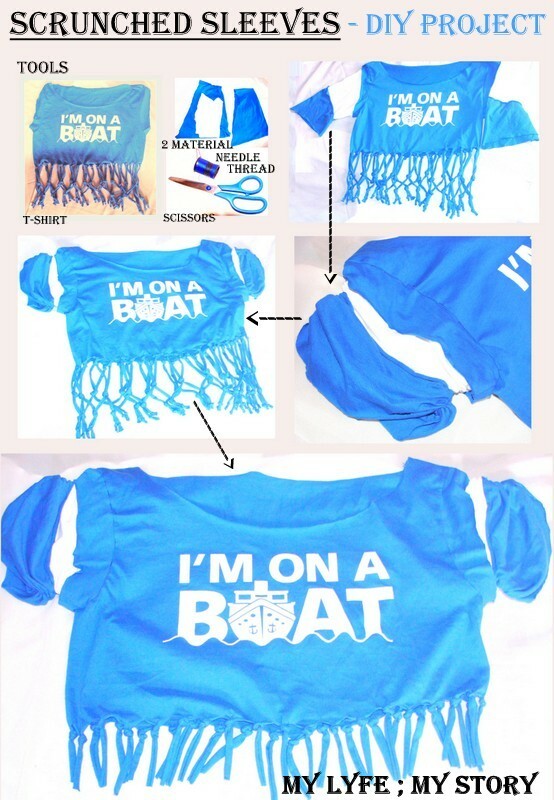 This goes perfectly as a beach coverup and it looks cute. 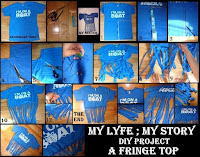 Down below is the DIY Project on how to make a fringe top. Hope you are all have a lovely summer! Enjoy yourself and be safe!